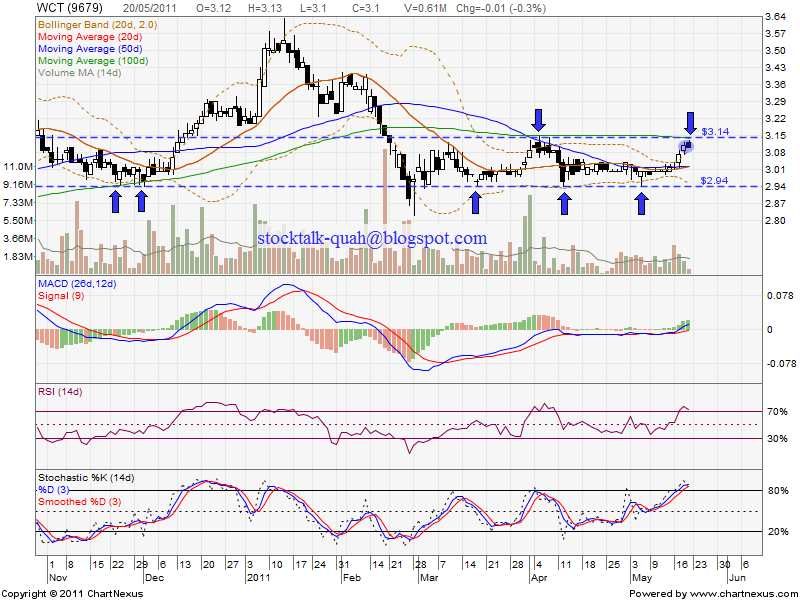 As 20 May 2011, WCT retest around RM3.14 resistant level OR MA100 resistant level. However, if retrace down, next support would be RM3.02 & RM2.94 support level. RM2.94 may define as strong support level, a few round it were rebound from this strong support. 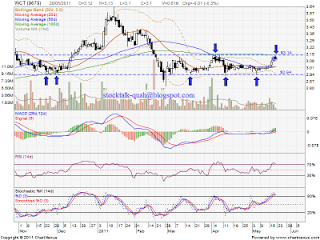 Will it break up RM3.14 level or retest RM2.94 support level?